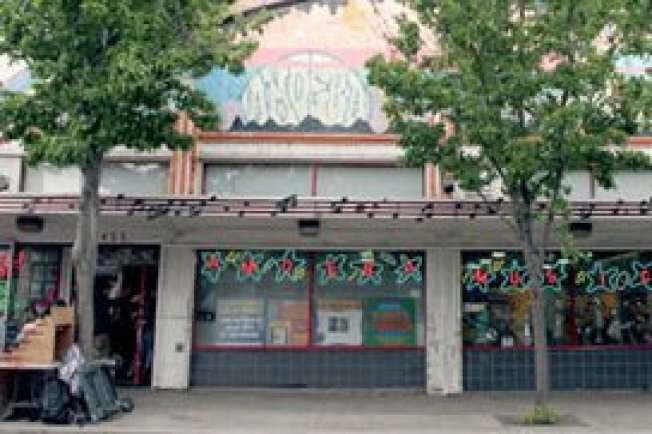 Amoeba Records in Berkeley is located just off of Telegraph Avenue, a few blocks from the UC Berkeley campus. National Record Store Day is Saturday, do you know where the country's best record stores are? If you don't, luck for you because Rolling Stone has put together a list of the best record stores in the country just hours ahead of the day set aside every year to celebrate everything vinyl at your favorite mom and pop record shop. And even luckier for all of us -- at least if we believe what the rock magazine says -- one of the best record stores in the country is right here in the Bay Area. Making the cut as one of the top 30 record stores in the country is the Bay Area's own Amoeba Records. All three Amoeba stores -- including the lone Southern California chapter in Hollywood -- get special recognition from the magazine. Even in the days when record-store chains ruled the music world, nothing compared to Amoeba. It was, and is, simply the most thorough and welcoming place a record lover could hope to shop. Each of its three stores features more than 100,000 items — much of it surprisingly high-grade, and with loads of surprises and rarities around seemingly every corner. Which, as anyone who's been to any of them can tell you, is a lot of corners. Amoeba was the only Bay Area entry but there are plenty of other record stores that will be participating in a full line of activities on National Record Store Day. To find the one closest to you, visit the official website of National Record Store Day.